From God's timing to crock pots.....just a few things I'm thankful for. I discovered the wonder of the crock pot during our first year of marriage and it was a beautiful realtionship after that. 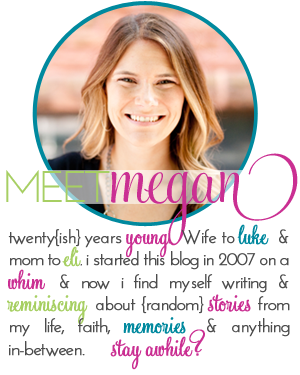 I have shared several recipes on the blog of my favorite crock pot recipes throughout the years. I love this crock pot coney recipe and any crock pot recipe from Skinny Taste never fails! Recently I started coming off of my "no cooking rut". The time has come for me to start cooking again. It seems that the majority of my pregnancy sickness is gone (another thing I'm thankful for) and I can actually handle cooking a meal. However there is one small problem, 98% of our kitchen utensils, dishes, pots, pans etc are packed up. So today I ventured out to Target and bought a new crock pot. I figured it won't hurt to have two of those (our other crock pot is in storage). All of that to say I love my crock pot because I can prepare an entire meal in a short amount of time, let it cook all day and then come back to my precious silver pot and find a fully cooked meal. It's almost like magic. Tonight my crock pot magically cooked Cornbread Chicken Enchiladas. YUM. If you have been looking for a new recipe you need to try this one! 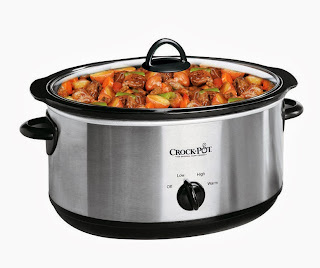 Do you have a favorite crock pot recipe to share? Considering its one of our only tools in our kitchen currently I will take all the suggestions I can get! I got my crockpot out right after the wedding - and I've been in love ever since. I haven't looked at Skinny Taste yet... off to check out some of those! Man, every year I say I'm going to be better about using my crock-pot and every year I fail! But with a two year old running around it would be so great not to have to worry about fixing dinner all at the last minute! Thanks for the yummy recipe! My crockpot is easily one of the most-used appliances in my kitchen - absolutely love it! And having two is really not a problem at all. I use both of mine! My two favorite "easy" recipes are Salsa Chicken (frozen chicken breasts, jar of salsa or can of Rotel, spices as desired, cook on low for 8 hrs then add 1 can black beans & 1 can corn) and Ranch Chicken (frozen chicken breasts, 1 can Cream of Chicken soup, 1 cup sour cream or Greek yogurt, 1 or 2 packets ranch dressing mix (depending on how much you like ranch), cook on low 8 hours). Either can be served over noodles or rice - easy & quick for weeknights! My favorite recipe is the chicken taco recipe you posted awhile back. So so yummy!! I love my crock pot! It's great! One of our favorites is the chicken fajitas.http://www.pinterest.com/pin/235594624228750837/ I ididn't like the taco seasoning overkill so I now do a packet of ranch dressing mix and 1/2 a packet of taco seasoning. We tried this potato soup recipe too and loved it!http://www.pinterest.com/pin/235594624230408845/ It looks a bit like porridge once it's cooked, but it was very good.